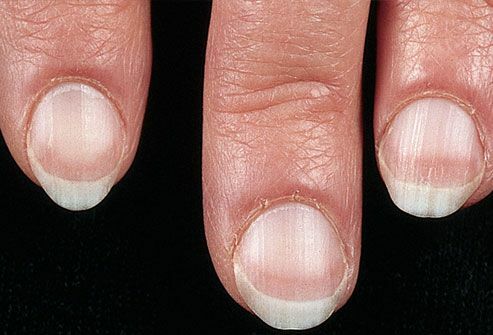 People often take care of their fingernails because they're important to them aesthetically, but did you know that fingernails hold important clues about overall health? The color and texture of your nails in particular are an important clue about what's going on inside your body. 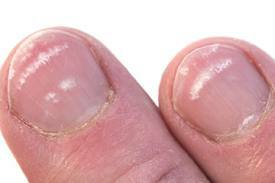 Changes to fingernails can be an early warning sign of illness. If you're someone who wears nail polish most of the time, try going without every once in a while so you can inspect your nails properly and check that everything is as it should be. If you find anything out of the ordinary, check the list below for what could be causing it. Nails that are pale can be symptomatic of some serious illnesses such as anemia, heart issues, malnutrition or liver disease. White fingernails with darker rims are symptomatic of hepatitis. If otherwise healthy looking nails have white spots, that can indicate a problem. 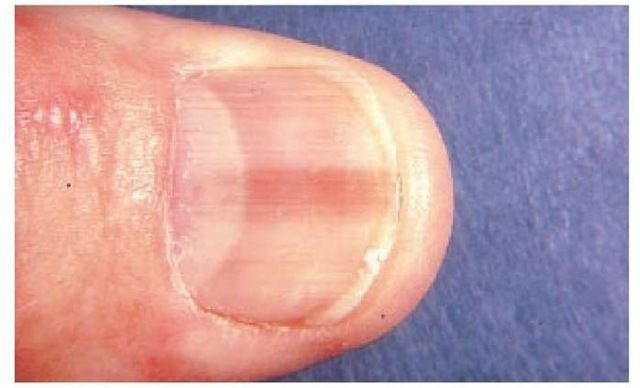 Although many people think this points to a calcium deficiency, it's actually just a sign of minor trauma to the nail and nothing to worry about. They will fade or grow out on their own. If they are continuously appearing over a number of weeks, they could also be due to a fungal infection, particularly when combined with the symptom yellowing. 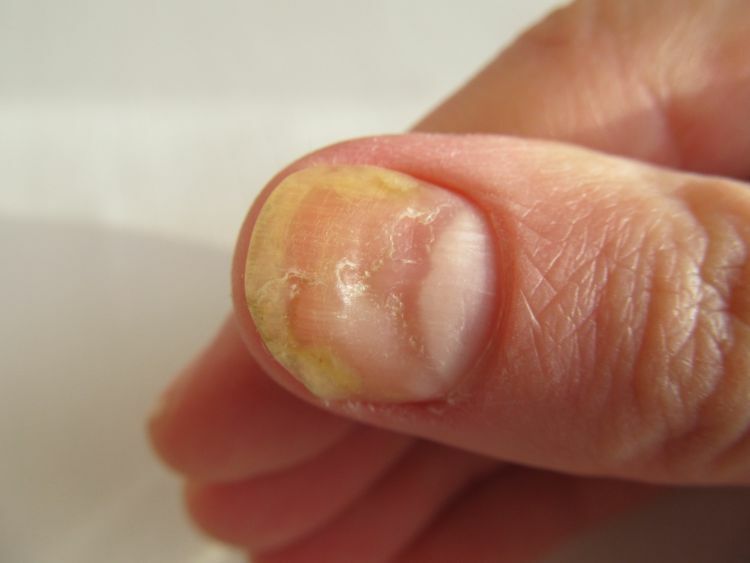 Yellow nails most often point to a fungal infection. If you allow the infection to worsen, you'll find your nails may thicken and gain a crumbly, dry texture. The nail beds may also retract. You can get over-the-counter medication from the pharmacy or try these home remedies to get rid of the fungus. Yellow nails can be caused by smoking and are common in people who regularly get acrylic nails or gel manicures. In rare cases, yellow nails can indicate a more serious condition such as severe thyroid disease, lung disease, diabetes or psoriasis. Nails with a blue tint indicate that the body isn't getting enough oxygen. This can point to lung or heart issues. 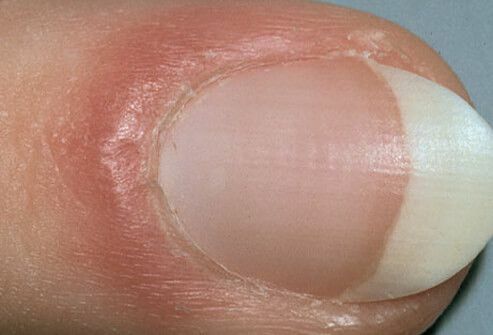 If you've ruled out fungal nail infection, then nails with a pitted or rippled surface this could be an early sign of psoriasis or even inflammatory arthritis. This can go hand-in-hand with discoloration. Dry, cracked, brittle or peeling nails is a common issue and, in general, shouldn't be cause for concern. 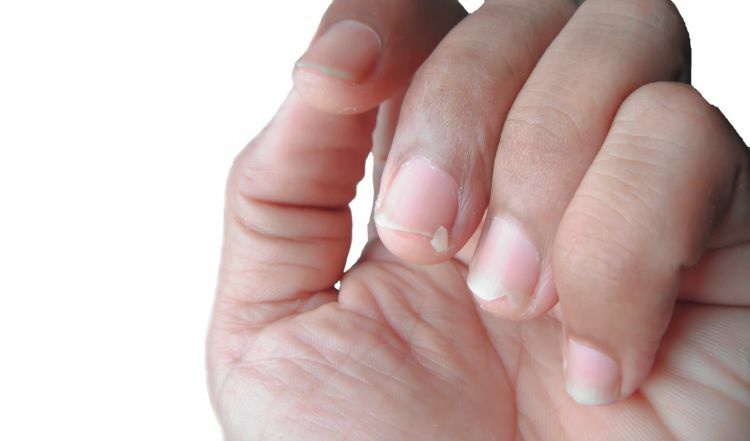 Brittle nails are often due to dryness on the nail plate, which can be caused by regular swimming, overuse of nail polish and acetone, or even frequent dishwashing or exposure to cleaning chemicals. 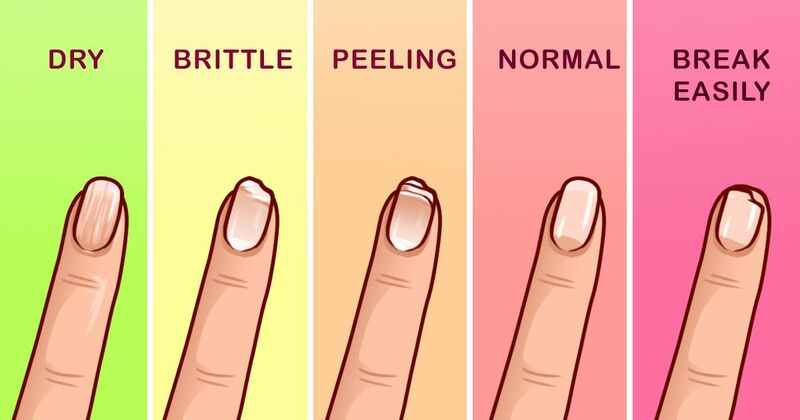 Stop your nails from breaking when you try these 6 home remedies for brittle nails. If the issue persists over several weeks, chat to your doctor about underlying health issues that could be causing it. The nail fold is the skin around the nail. Swelling or redness of this skin can be caused by infection or an ingrown nail but can also be symptomatic of lupus or other connective tissue disorders. 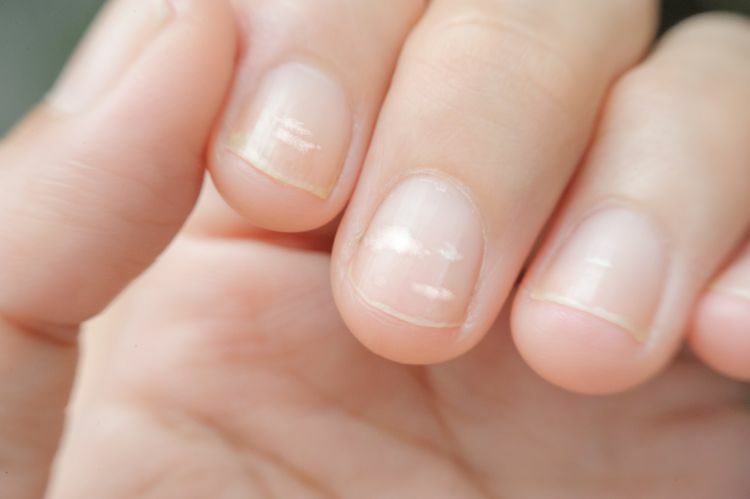 Try these natural ways to treat ingrown nails at home. If you are worried about anything, it pays to talk with your doctor. 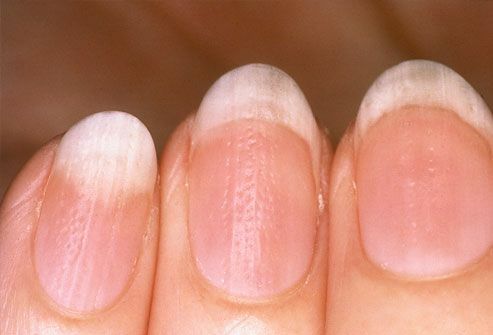 Most of the time changes in nails are dietary or indicate a vitamin deficiency. Every now and then, however, they provide an important clue about underlying health. How do your nails look?